Vivaldi? Bach? Surrounded by beautiful stained glass? The entire experience transports you to another time. Sainte-Chapelle is a gothic, medieval church on the Ile de la Cité and was built in the mid-1200’s. Attending a night time concert at Sainte-Chapelle gives you the opportunity to not only listen to beautiful baroque music, but also see an impressive church. There are 15 stained glass panes and they depict 113 scenes from the Old and New Testaments. These 15 metre high colourful panels are a major part of the Chapelle. This royal chapel was within the Palais de la Cité, which was the Royal residence and sadly much of Sainte-Chapelle was destroyed during the French Revolution. Renovations in the 19th and 21st centuries have attempted to restore much of the damage from the Revolution, wars, pollution, and visitor traffic. 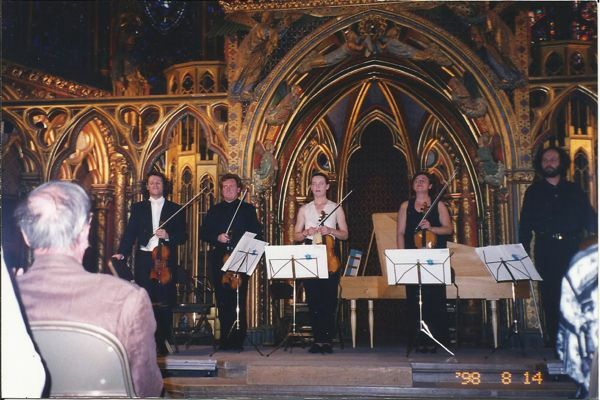 Most often the classical music program at Sainte-Chapelle includes (light) chamber music by Vivaldi (Four Seasons) or Pacabel (Canon). 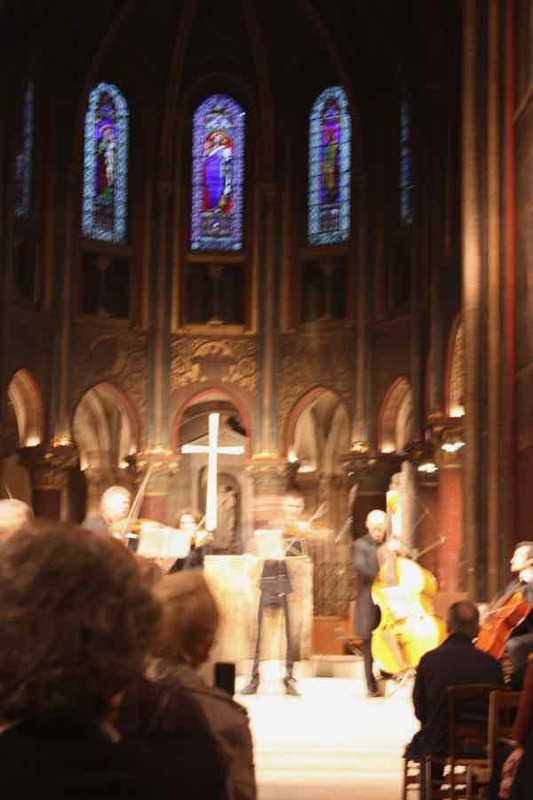 If you can’t get tickets, you could consider a similar concert at Eglise de Saint-Germain-des-Pres church. It has some stained glass windows, but not as many as at Sainte-Chapelle.